This course will introduce participants to the principles of temporary work zone traffic control. Students will learn workable concepts in the installation and maintenance of traffic control devices while understanding the principles of temporary traffic control. Participants will develop appropriate systems and traffic control plans to create safer work zones. 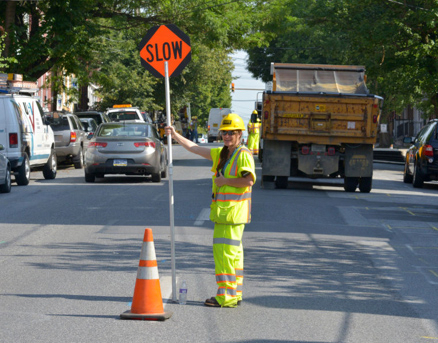 This course will introduce participants to the principles of temporary work zone traffic control. Defining Traffic Control for Temporary Conditions (Book7) in Ontario. The different types of measures that aid in traffic control to ensure that motorist, cyclist and pedestrians are not impeded to reach their destinations. The Standards and Regulations that govern proper traffic control are outlined using Book 7 and OHSA.